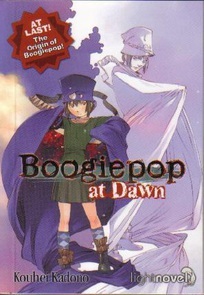 The origin of Boogiepop revealed at last! Not only is this the long-awaited story of how Boogiepop was born, but it is also the tale of four very strange individuals: a detective, an eater of fear, a popular writer and a skilled assassin. Uncover all the secrets!